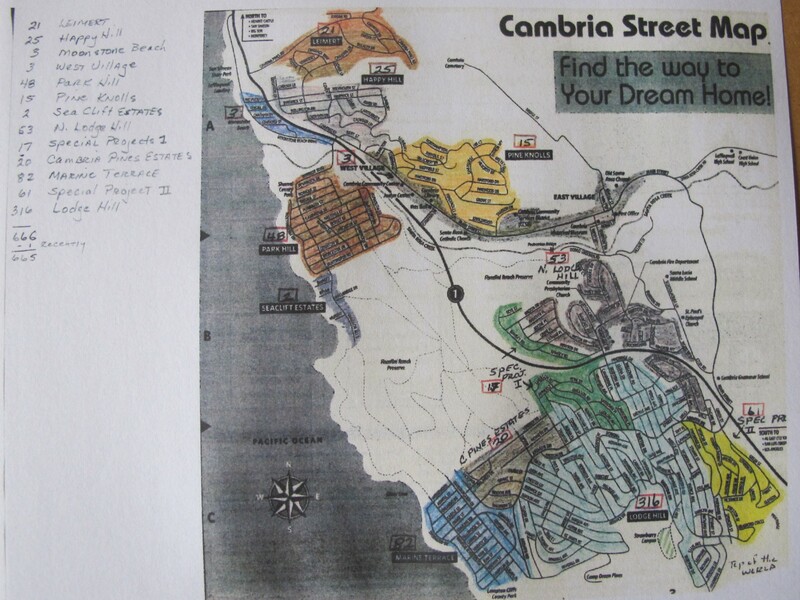 This Wait List Map shows how many lots are on the Water Wait List in the various areas of Cambria. It shows that 316 of the lots are on Lodge Hill, where a lot of Monterey Pines grow. The effect on the integrity of Cambria’s forest will be dramatic if these lots are developed into housing. This map shows where Water Wait List lots are located. Liemert, orange, has 21 lots. Happy Hill, light gray, has 25. Moonstone Beach, blue, has 3. West Village, greenish gray, has 3. Park Hill, dark brown, has 48. Pine Knolls, dark yellow, has 15. Sea Clift Estates, steel gray, has 2. North Lodge Hill, dark gray, has 53. Special Project Area I, green, has 17. Cambria Pines Estates, brownish green, has 20. Special Projects Area II, yellow, has 61. Lodge Hill, light blue, has 316.